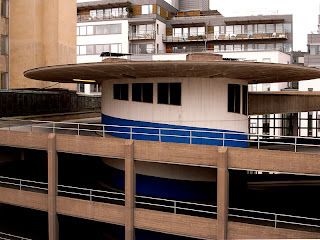 This is the way out at the Parkaden multi storey car park. The shape of the windows as well as the blue stripe on the wall helps make this into an overall spiralling pattern. Well captured.